Before a home can be built, you will need to test the area that you want to build on. The slope, the spoil, and the moisture content will all make a difference. Once the tests have been completed, the information gathered can help determine if the location that you chose is adequate for the placement of your structure. There are many different types of soils depending on your location, so it is imperative to know what the ground can bare. Soil testing is one of the most critical steps that needs to be taken before you can start any building process and must be done by a professional. It helps to give the builder the information necessary to ensure that the foundation is stable. Atterberg limits tests – Provides the moisture limits within the ground by checking three different properties of the soil. The test examines the limits for: liquid, plastic and shrinkage conditions. Dry density of soil – Shows how compact the soil is. Moisture content test – This provides the amount dampness within the ground. Proctor’s test (Compaction test) – This is done to establish the compaction qualities of the soil. Specific gravity of soil – The determination of gravity on earth. It's done by taking the ratio of the weight of the soil solids to that of water. 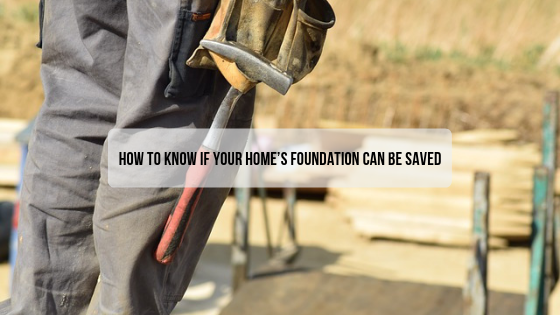 Once the soil tests have been completed, the structure of the home can then begin to take shape, but the kind of ground that your home is set upon can determine how many issues (if any) you will have in the future with your foundation. When digging down into the ground, you will see many different types of soil. Depending on the different kinds of soil layers and the depth of your foundation, you can determine the initial building and future upkeep for the structure. Clay – Is a very compact type of soil that absorbs and keeps moisture easily. This can be a problem in times of drought, as the moisture within the soil diminishes and the soil shrinks. When clay shrinks, it can create many problems for the foundation and the house as a whole. This is not an ideal form of ground for support, as it can lead to many issues in years to come. Loam – This is one of the best forms of soil to place a home onto, due to its great mixture of soil types. The most common blends of loam are clay, sand and silt. Due to the even stability of these earth combinations, the moisture content usually maintains at optimum levels. Peat – Holds a high amount of moisture content, but in times of drought can produce problems for the support of your building. With this form of dirt, the structure can move or alter the edifice. This type of soil is one that really should be avoided if possible. Rock – Some of the kinds of rock include bedrock, hard chalk, limestone, sandstone and shale, and they all have extreme bearing abilities. This can be a good base for a foundation as long as the foundation is in a level position. Sand/Gravel – Is made up of large particles, with various kinds of soil. It does not hold onto moisture, meaning it drains well. This soil is also a decent soil type for placing a foundation on when it is compacted. Silt - Is made up of a smooth soil with small particles, which holds liquid for a lengthier period. It is not a good soil class to place a foundation onto, due to the excessive retention of dampness. We have gone over the types of tests that are required to be completed before building can begin. We also went over the different kinds of soils that can be built upon. Now we are going to go over some things that affect or damage the foundation of a structure. 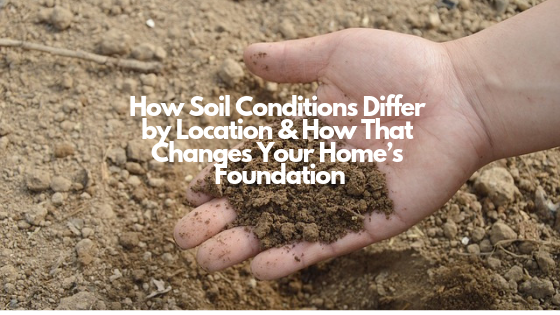 If the moisture content within the soil changes, especially in times of drought, it can cause a foundation to dry out and create cracks within the structure of the home. The kind of soil will play a significant role in the types of issues that you can or will experience when it comes to the foundation. Fluctuations of temperatures can affect the air, soil and water near the foundation causing it to swell and shrink, and can lead to fracturing within the foundation. Another problem that you can help to avert is plant intrusions. This happens when the root systems from things such as trees and bushes pushing on the foundation. When it is dry, those intrusions can take much-needed moisture from your foundation, leading to damage. There are many different soil types, so if you are unsure of the kind that you have, contact a certified specialist within your area. 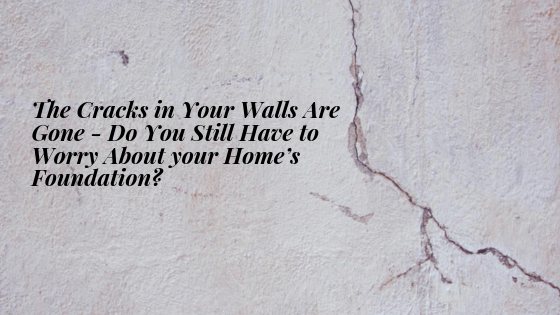 The Cracks in Your Walls Are Gone - Do You Still Have to Worry About your Home’s Foundation?